You've all been there. Your spouse is shopping. There's nothing to do while awaiting her to emerge from the changing room. So you take a seat and your eyes drift to what's on your wrist. 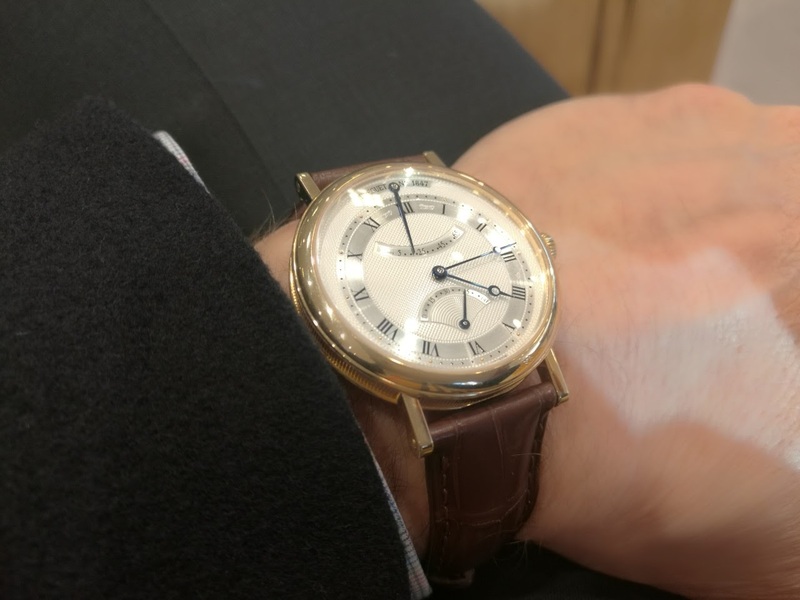 An awesome Breguet to pass the time with. I should take mine out, but right now a different Breguet is monopolizing my wrist. I know that feeling so well. Enjoy the shopping spree. Best way to spend some time is to look at it .